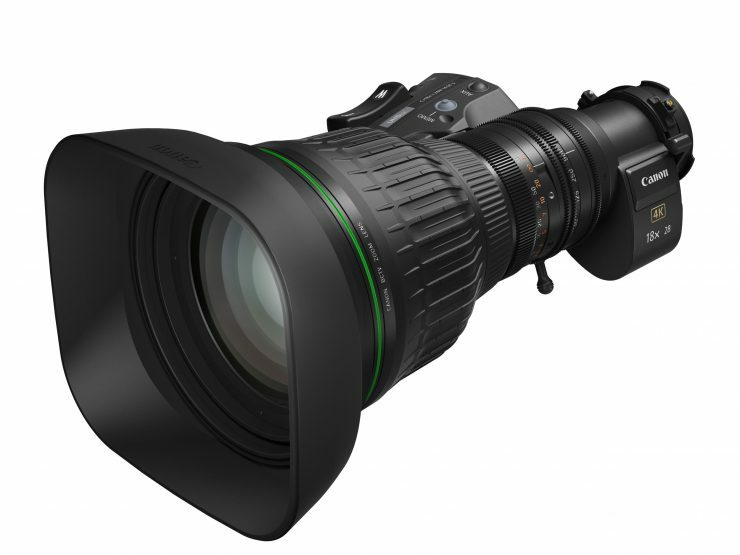 The CJ18ex28B offers an 18x zoom ratio, from 28mm at the wide end (not actually all that wide on a 2/3″ sensor) to 500mm at the long end. This increases to a whopping 1000mm when you use the built-in 2x extender. It’s aimed at doc, live event and wildlife shooters and Canon say the body has the same dimensions and weight as conventional HD lenses. 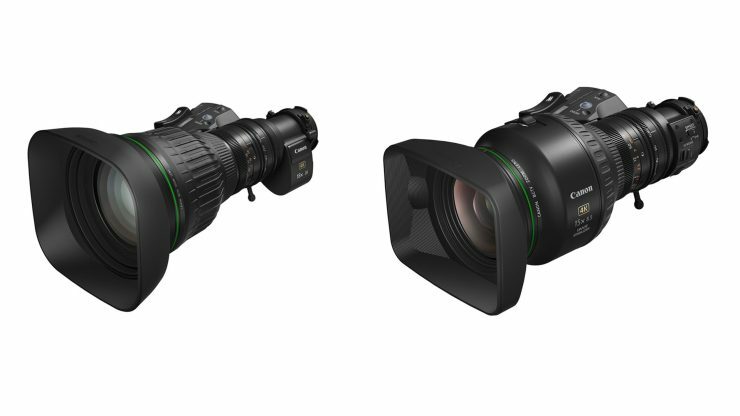 The CJ15ex8.5B covers a different range of focal lengths to the CJ18 – the CJ15 starts at 8.5mm and goes out to 128mm for an overall ratio of 15x. So you don’t get the same reach but what you do have is stabilised, and optimised for action that’s happening closer to the lens. Stabilisation is provided by Canon’s Vari-Angle Prism Image Stabiliser, designed to cancel out motion blur when filming on the move. The use cases Canon suggest include filming from a moving vehicle traversing bumpy terrain or when shooting cycling or running events. 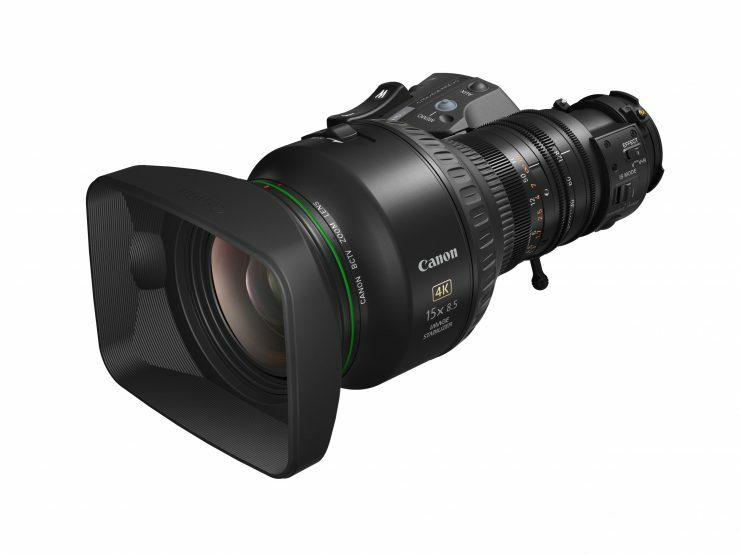 It’s the first time Canon have included this tech in a UHD portable broadcast lens. No word from Canon yet on when you’ll be able to get your hands on these lenses – or how much they’ll cost! They will be on show at this year’s NAB so we’ll try and find out some more information then.